It’s 2018. Cassette tapes and floppy disks are no more. Fashion from the ’70s-’90s is coming back in full force. Vinyl albums are even being sought after. And yet, this thing called the CD is becoming extinct. The CD, also known as a compact disc, was a major way of listening to music after tapes and vinyl died out, but it was prominent long before iPods and music streaming became prevalent. Best Buy, a top-selling store for CDs, recently released a statement saying they would stop selling CDs by July 1. For more than a decade, Best Buy has been trying to get rid of CDs and now it is finally happening. This is going to be a major blow to CD business sales. “Best Buy used to be the top music seller in the U.S., nowadays its CD sales generate a relatively low $40 million per year,” Digitaltrends.com said. And now, Target has decided to give the CD industry an ultimatum, along with talk to stop selling DVDs as well. According to Billboard.com, Target has announced that it wants to switch to scanned-based trading, which they aimed to do by Feb. 1, 2018. This means that while Target currently pays companies for CDs and DVDs before they are sold or scanned at the register, they no longer want this and would prefer to stream everything. This is all still in talk, but Target plans to have this settled by April 1. I was in shock when I discovered this. I just received Taylor Swift’s Reputation CD this past Christmas. I love my CDs! Yes, I have Apple Music, I stream on Pandora and if you were to walk into my basement you’d see some dusty vinyl albums, maybe a cassette tape or two — but my bedroom is full of CDs. There’s something about having an artist’s collection of CDs right in your hand. You can see how they have evolved from their album cover alone. Let’s not forget the booklet inside with the lyrics for songs and who wrote what. You get to be a part of their journey on the album. CDs could be doing poorly for any reason. The main one is because of streamed music. Another very minor reason is a majority of people are starting to realize vinyl sounds better than CDs. There’s a difference between your streamed music from Spotify or Pandora and your digital downloads from iTunes, too. According to Recode.net, in 2017 more than 30 million people paid and subscribed to streaming services in the U.S. This was in the beginning half of the year and resulted in the revenue of streaming services increasing by 48 percent, which makes it a $2.5 billion business. By the end of 2017, streaming had reached 62 percent of the music business in the U.S. Even though Best Buy won’t be carrying CDs, the company will continue to stock up on vinyl. People bought 14.32 million vinyl albums in 2017 — that’s 9 percent more than how many they bought in 2016. Compare millions to billions and it’s not a lot, but vinyl is still on the rise. Whatever the case is, it’s not slowing down. Summertime will be here before we know it and there will be one less aisle in stores. Just keep a lookout, because after CDs, it’ll be DVDs and then books. 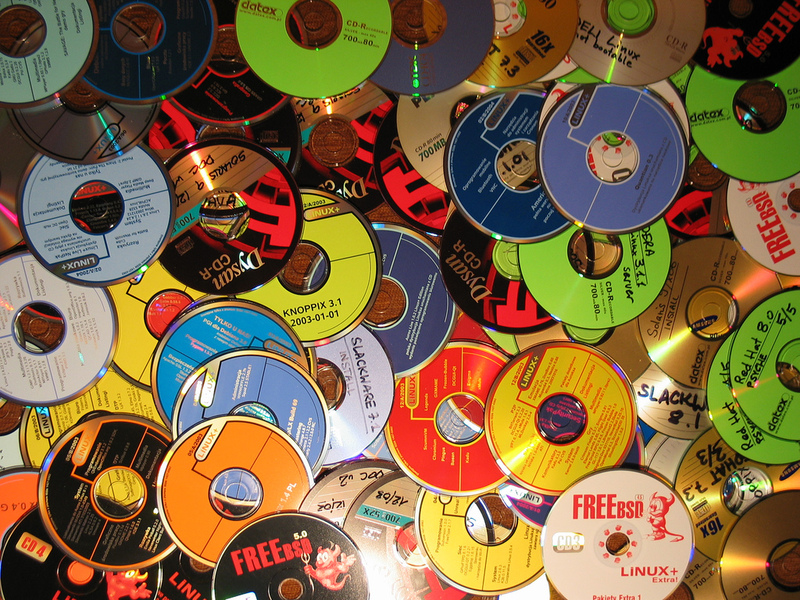 No matter what happens, don’t throw your CDs away just yet. Remember, everything old becomes new again.